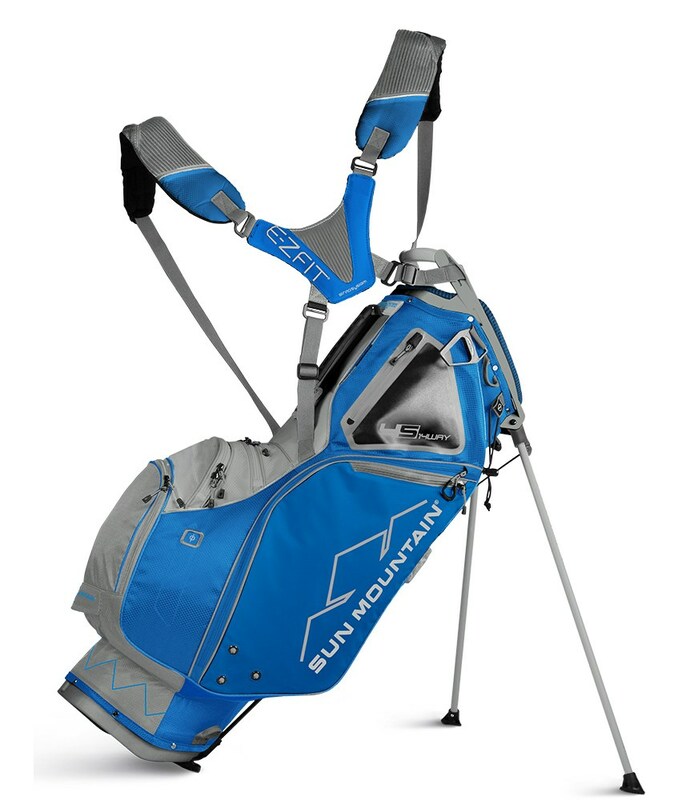 The Sun Mountain Four5 LS 14-Way Stand Bag is packed with features similar to the more expensive premium H2NO 14-Way Stand Bag. 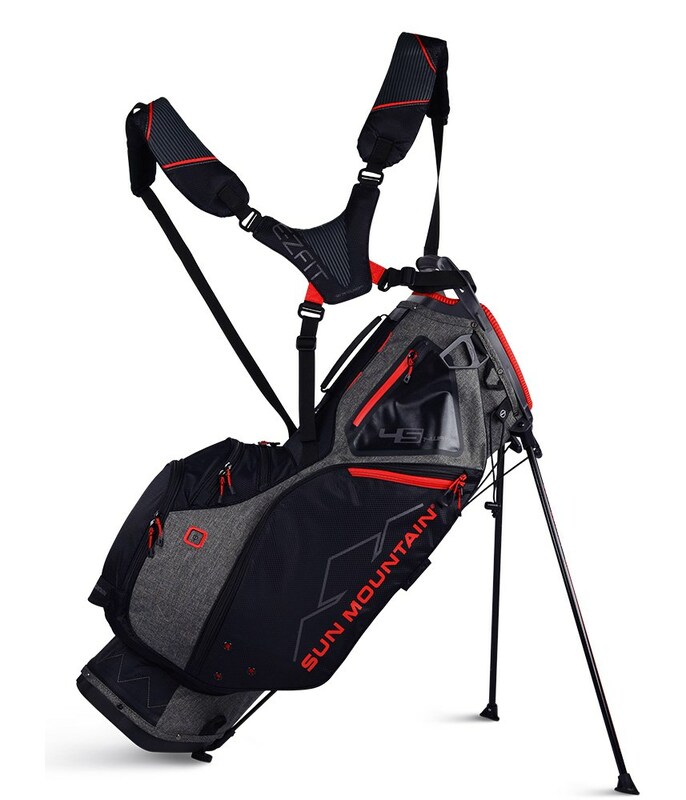 Sun Mountain have created the Four5 as a hybrid style stand bag that feels ridiculously comfortable to carry, or is also able to sit comfortably on a trolley or buggy for a secure ride. 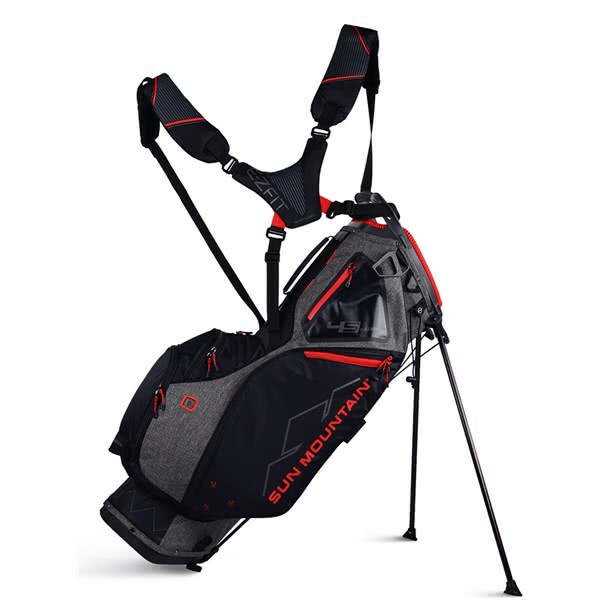 A total of 8 strategically positioned pockets provide an incredible amount of space for everything you could ever need for 18 holes. Some of the pockets include two lined valuables pockets, a full length apparel pocket, a ball pocket and a hydration pouch. To deliver excellent club management and prevent grips from crowding at the base of the Four5 LS, Sun Mountain have used a flared, 14-way divider top which features 14 full length dividers. A top mounted stand mechanism and cart-friendly base unit provide excellent stability on all types of surfaces. 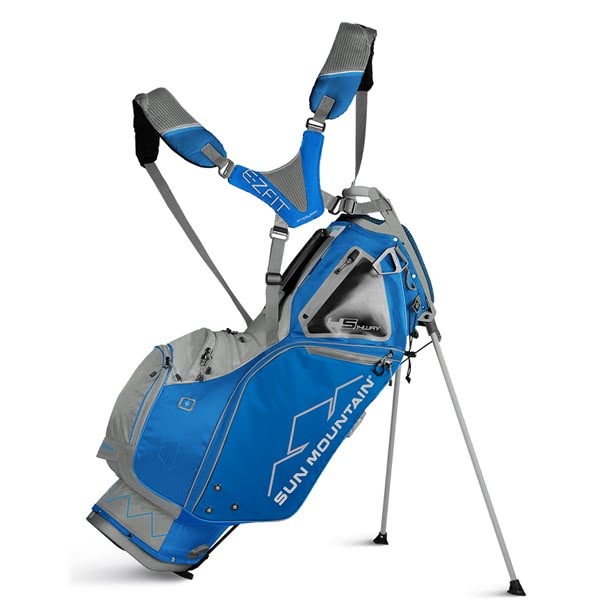 This incredible bag also features a leg lock system that will allow you to securely store the legs should you want to use a trolley or buggy.